Everybody knows about Pitbull breed. Even connoisseurs in cynology admit that Pitbull breed is very special and unique. Why does it happen? We know the answer! It's amazing but these dogs combine a lot of rare traits in a character: strength, power, friendliness, sweetness and extreme intelligence. How can you, the owner of such phenomenal dog, accentuate all sides of it’s multifaceted nature? How can you please your four-footed friend? 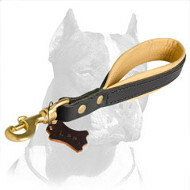 We can offer you only one way out of the situation - buy collar for affordable price! Just imagine - you can become the owner of really cool trendy Dog Equipment which is more than an ordinary Collar - it’s multifunctional hand made accessory which was created in order to expose all concealed verges of your dog’s nature! Are you intrigued? Then check more detailed description below and learn a lot of new striking things about wonderful Dog Collar! This amazing Dog Collar is really inconceivable! 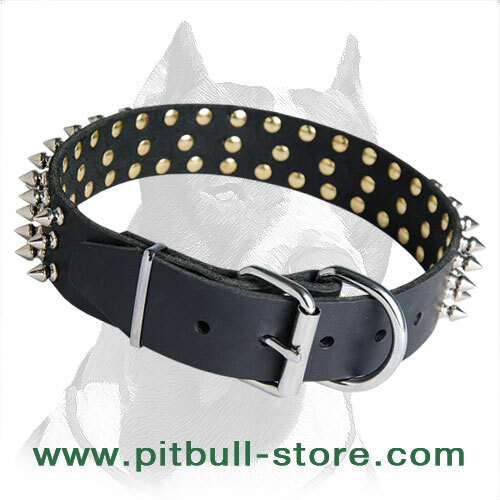 Due to it’s multifunctionality this Collar is irreplaceable in training, walking and controlling your super energetic Pitbull. 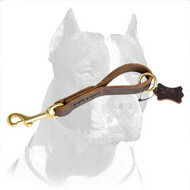 Even the most fastidious dog owner will be fully satisfied of purchasing this purposeful Collar. 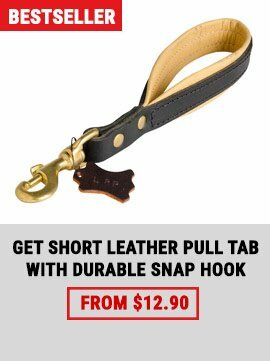 We produce dog equipment of 100% full grain leather which is very strong and durable at the same time. Material doesn’t stretch or tear and serve you for a long period of time. Moreover natural leather is non-toxic and doesn’t cause irritation. We think about your dog’s health. Be sure - spikes can’t fall out. Our craftsmen thought about all details and firmly hand set each component with brass, rust-proof rivet. It will provide full comfort and reliability. 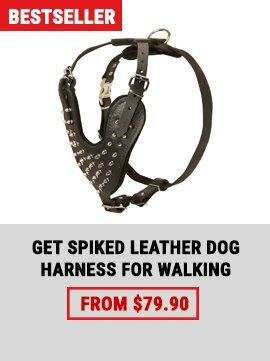 But it’s not all the benefits of this fascinating Dog Collar. Buckle and D-ring won’t rust for years. 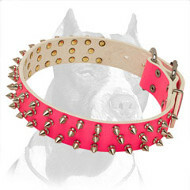 Above all, this admirable Dog Collar is fashionable. 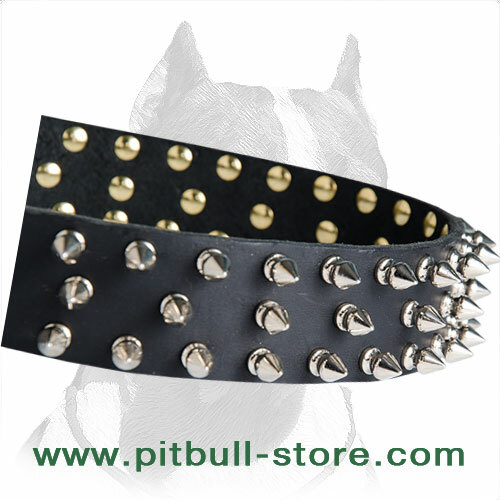 3 rows of shining spikes add individuality and inimitableness to your beloved Pitbull. 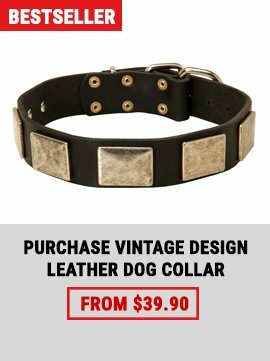 So, if you want to indulge your doggie, buy this Collar for affordable price. It will be a really good bargain.